This recipe comes from an old friend. She knew very well how to make authentic Mexican food and as a kid I would stand on a stool and watch over her shoulder, or across the table, as she chopped the tomatoes, diced the cilantro and jalapeno, and squeezed the lime juice into a bowl. She would have me taste, as a I do now, until it reached the perfect tangy and salty flavors. 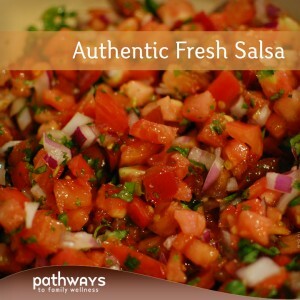 No need for powdered seasonings; the fresh ingredients is what makes this, and now it’s our favorite salsa recipe; simple, but oh so delicious. 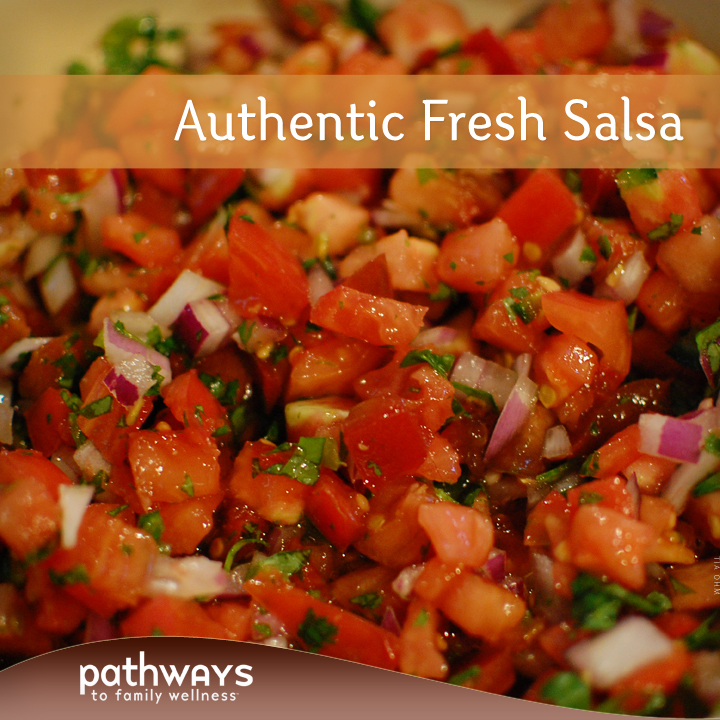 Serve with your favorite chips and as a side to your Mexican dinner nights. Enjoy! 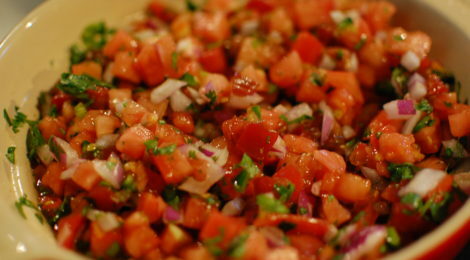 Prep your vegetables by cutting appropriately and combine everything in medium sized bowl. Mix well to incorporate; add salt if needed. Serve immediately or after chilling in the fridge.